Mon, 10/24, at the Fireside Bar. 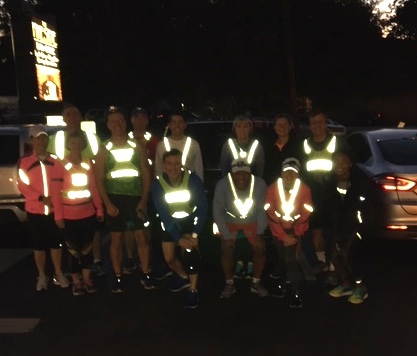 Camera didn't like our reflective vests, but we did! !